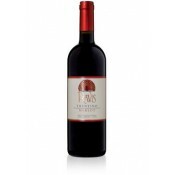 This wine is the valued result of a careful and exclusive selection of Merlot variety grapes, grown on the company's hillside vineyards. A proportion of the grapes is left intact, and only 35% separated from the stalks before they are transferred into barrels. After a brief period of maceration, the must is fermented for ten days at a temperature of 28 degrees centigrade. During the fermentation it remains in continuous contact with the grapeskins. Towards the end the temperature is left to rise in order to improve the extraction of colour and taste from the grapeskins. The wine then matures for six months in Slavonic oak barrels and a further six months in the bottles. The development Merlot, which has only been happening for a few years in Italy, has been going on in the perfect environment of Alto Adige for more than a century. 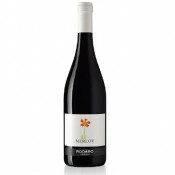 This Merlot, which comes from vineyards situated high in the hills of Termano, has a strong, concentrated, murky ruby colour. It also has a solid fabric of thick, warm aromas, with a prevailing woodland note reminiscent of blackberry jam, wild flowers and humus, which emerges in a pronounced winey frame. After the initial rough-edged aggressiveness, the taste slowly develops, saturating the mouth. 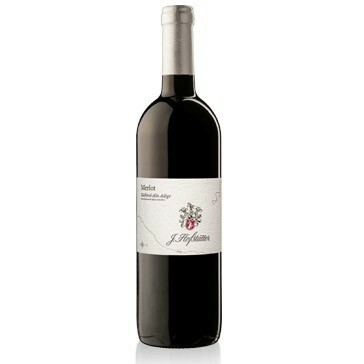 This effect is due to the wine's robust structure of tannins and solid construction, which makes it very long-lasting. This is a wine almost to chew, that becomes gentler, acquiring a softer edge, if it is aged for at least a year. 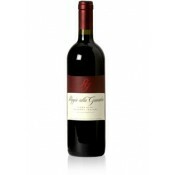 This wine is excellent with roast hare, red meat, game and mature, flavoursome cheeses. 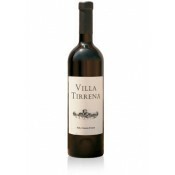 If kept well, this wine has an average conservation period of five to six years. The bottles should be laid horizontally in a cool, dark, humid wine-cellar.